Blue Nation will have the opportunity to enjoy every step of the Kentucky men's basketball's NCAA Tournament journey with UK's inclusion on the "NCAA March Madness Confidential" all-access series. Beginning with Sunday's Selection Show watch party at head coach John Calipari's house in Lexington, a production crew will be embedded with the Wildcats throughout the March Madness run to document the excitement, preparation and work that goes on behind the scenes of the pinnacle of the college basketball season. Confidential, with exclusive, behind-the-scenes access, will cover team meetings, practices, film sessions, class, conditioning, media opportunities, travel and more from the start of UK's NCAA Tournament run until the finish. 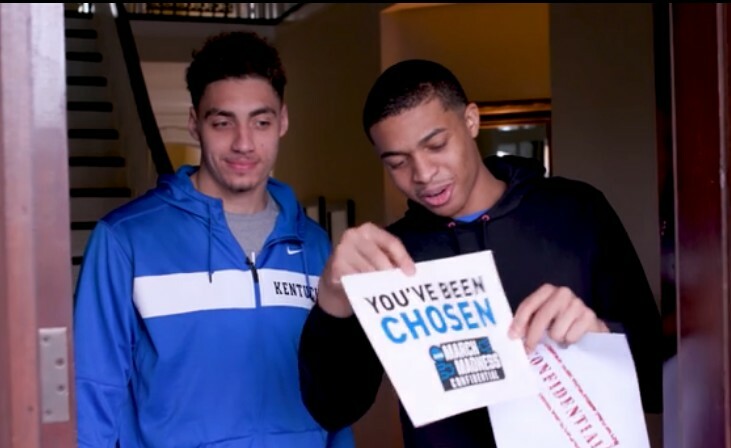 UK was one of seven teams selected for this year's Confidential series, which will air throughout the tournament on Turner, CBS and NCAA platforms. Kentucky's first NCAA Tournament game will be Thursday at 7:10 p.m. vs. Abilene Christian in Jacksonville, Florida. The Wildcats, the No. 2 seed in the Midwest Region, are making their nation-leading 58th NCAA Tournament appearance. It will mark the Wildcats' 58th NCAA Tournament appearance. UK leads college basketball with 126 NCAA Tournament wins.